David Luke Myrick (June 20, 1916 – January 28, 1972), known professionally as T. Texas Tyler, was an American country music singer and songwriter. 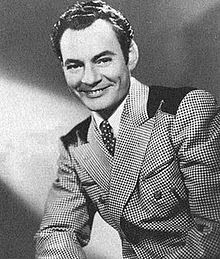 He was a successful figure from the late '40s through the mid-'50s, often credited with helping to popularize the sentimental country "recitation" -- a storytelling composition partly or completely spoken by the performer -- with his massive 1948 hit "Deck of Cards." He was born David Luke Myrick in Mena, AR, and from childhood aspired to become a country performer. As a young man, Tyler moved to Rhode Island to live with his brother, who was stationed there while serving in the Navy. He got his start working in radio in the early '30s and then spent much of the decade touring and performing on the radio, creating his stage name by combining the names of cowboy crooners Tex Ritter and Tom Tyler. His travels took him as far as Newport, RI, and Los Angeles. 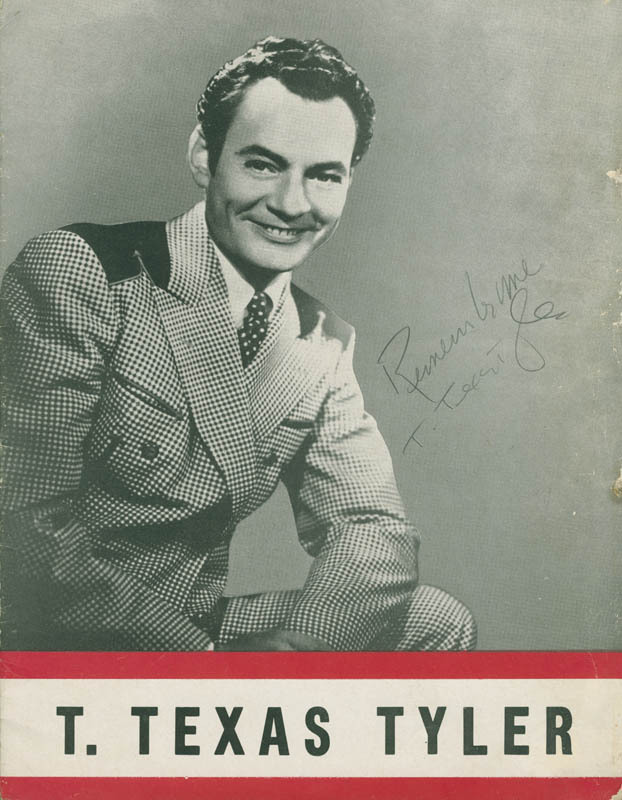 While performing in Charleston, WV, in 1939, Tyler teamed up with fiddler Clarence Clere to form Slim and Tex. 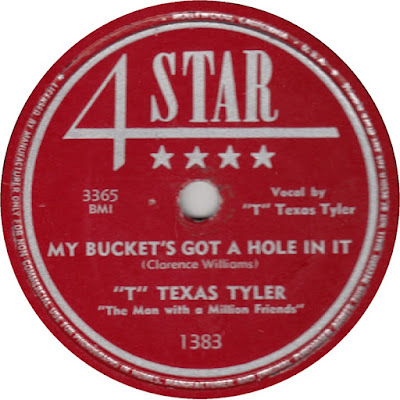 They remained together playing radio stations in West Virginia until 1942, when Tyler landed a spot on the Shreveport, LA, radio station and consistent talent incubator KWKH. Tyler served in the U.S. Army during World War II. 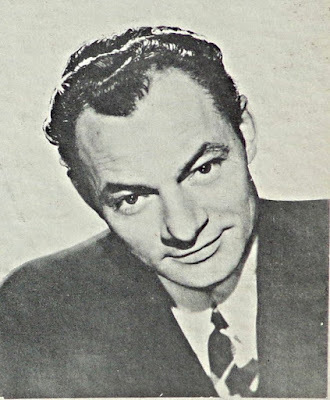 Following his discharge in 1946, Tyler went to Southern California and began appearing daily on the radio in Long Beach and Los Angeles. 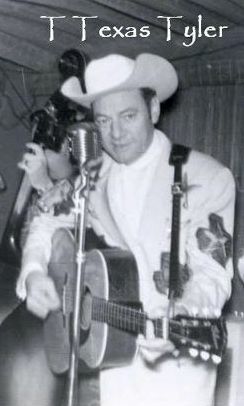 He recorded first for Black & White Records as a member of The Six Westernaires. His proximity to the new record labels that were springing up in Southern California helped his career along, and he signed with the small but growing Pasadena label Four Star. Soon he had moderate hits with several covers of widely performed country songs of the day: "Filipino Baby" (1946), followed by "Remember Me" and Jack Guthrie's "Oklahoma Hills." Tyler had his biggest single in 1948 with the enormously popular "Deck of Cards," which peaked in the Top Three, continued to sell for years, and spawned numerous imitations. The piece had perhaps an older pedigree than any other in the country repertoire; similar poems in which a soldier uses a deck of cards as a set of religious symbols have been found dating back to the medieval era. Tyler followed up that smash with another recitation: the tear-wrenchingly sentimental Mary Jean Shurtz composition "Dad Gave My Dog Away." His popularity resulted in a booking at New York City's Carnegie Hall, and in 1949 he sang a song in the Western Horsemen of the Sierras. 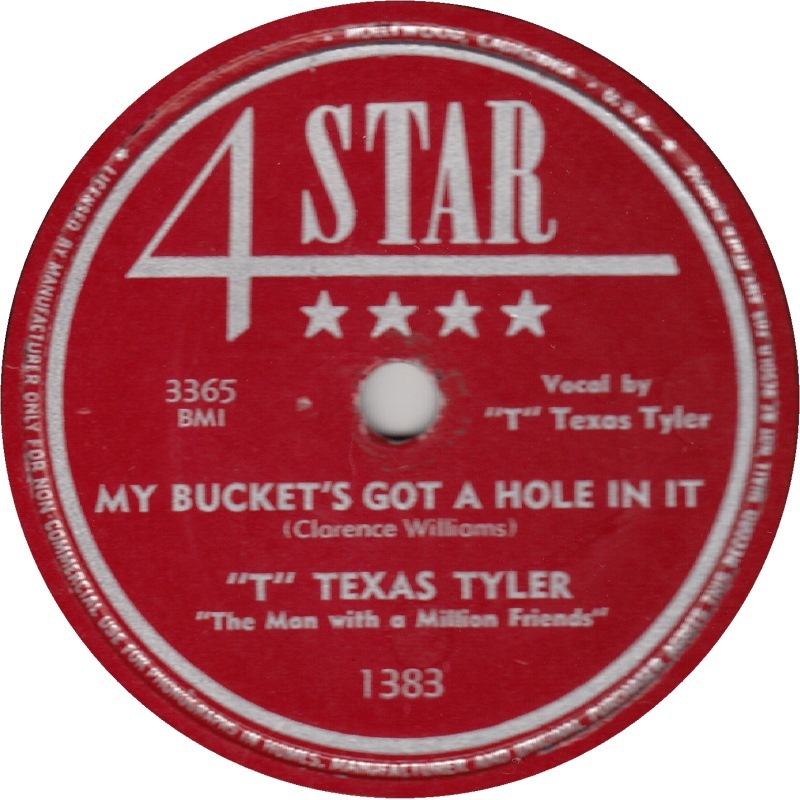 Later that year, he had a Top Five hit with a cover of Hank Williams' "My Bucket's Got a Hole in It." He was a frequent performer on the Grand Ole Opry and Louisiana Hayride, as well as hosting his own television “Range Round Up”, in Los Angeles, and in the early '50s he favoured an upbeat, folksy style in which sung phrases were frequently introduced by a hearty, guttural swoop. He had two more major hits in 1953, "Courtin' in the Rain," and then went into a personal and professional slump with the advent of rock & roll. A marijuana possession arrest in Texas slowed his career, but many of his recordings were collected in the newly popular format of the LP album. 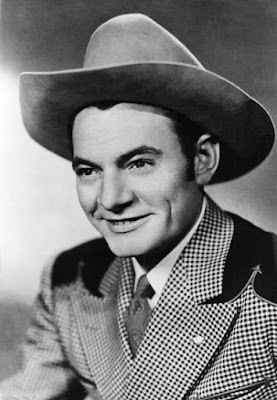 He signed with the Starday label and performed several times on the Grand Ole Opry. In the '50s he became a gospel singer and Assembly of God minister, recording the all-gospel album, The Great Texan, for King in 1960. Following the death of his first wife, Claudia, in 1968, Tyler remarried and settled down in Springfield, MO, where he preached to a local congregation and also performed occasionally. 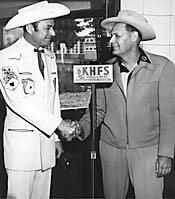 In 1971, radio personality Paul Harvey announced to his listeners that T. Texas Tyler had cancer of the stomach and had only a short time to live. Later, from Cox Medical Centre in Springfield, Tyler confirmed the report in letters sent to churches, in which he encouraged them to buy his records so that he could pay his mounting medical bills. Thanks Bob. Love this old country.